First of all, where did April go? The month went by in the blink of an eye. Anyone else feeling it? It was a very rainy, gloomy April here in New Jersey. I am happy to put that part behind me. I'm looking forward to sunnier skies and warmer temperatures. Both of which we had a taste of in Arizona and were sad to leave when our vacation was over. But onward and upward, as they say! 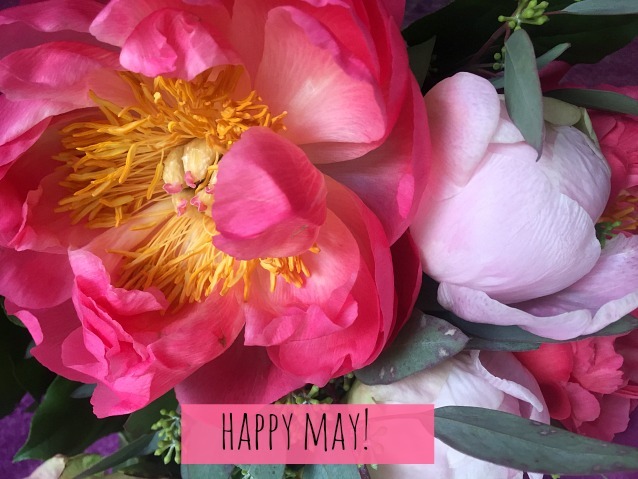 There's a lot going on this month on the blog. First off, I'll be sharing a book review this week. St. Martin's Press sent me It's Always The Husband (due out May 16th) a few days before we left for Arizona, and it proved to be very entertaining pool reading. Stay turned for the review, and I'll be giving away two books as well. Speaking of our trip to Arizona, I'll be posting a recap of our trip including what we did, where we stayed, and the sights that we visited. I'm also working on a food diary from our trip, so you can see where and what we ate during our trip. 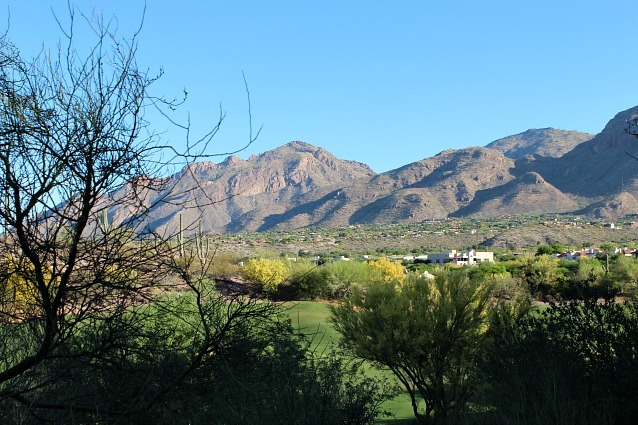 Here's a little sneak peek at one of the views from our hotel in Tucson. It was breathtaking in every direction you looked. If you've ever wondered what I keep in my gym bag, you'll find out this month as I share the contents of the bag and the essentials I take with me on each trip to they gym. Plus, I'll have some recommended workout clothes and gear at every price point, and the ones that have held up particularly well for me through grueling workouts. Don't forget to check out my SHOP MY FAVES page for all my current favorite items. I update the page weekly, so there's always something new to discover! If there is anything specific you'd like to see featured on the blog, drop me a line at piecesofamom@gmail.com. In the meantime, don't miss these popular stories from April. Even before we left for Arizona, I was obsessed with cacti. 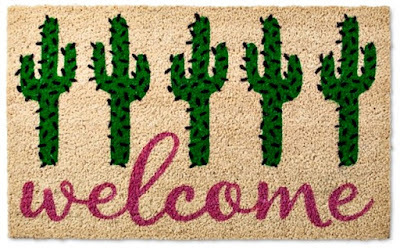 So much so that I devoted an entire post to a few of my favorite cactus-themed items. Summer is on the way! Avoid long lines at the ice cream truck and shoppe by making your own at-home ice cream treats. 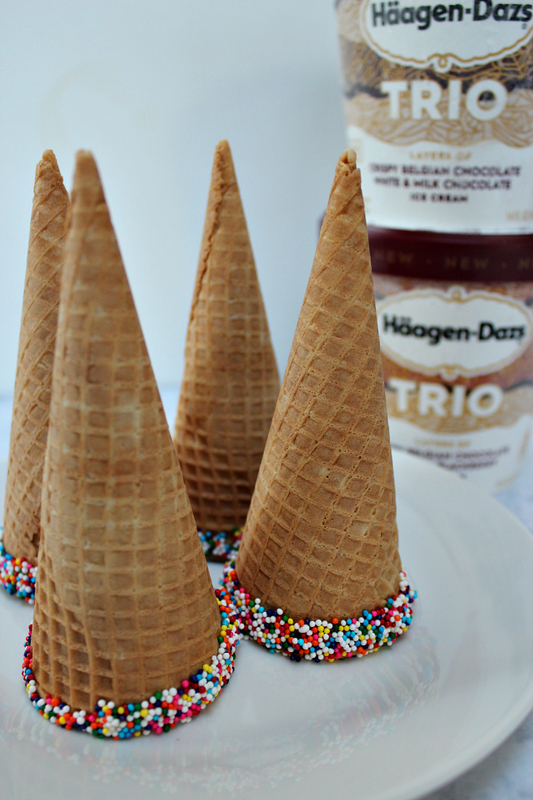 Summer means entertaining. 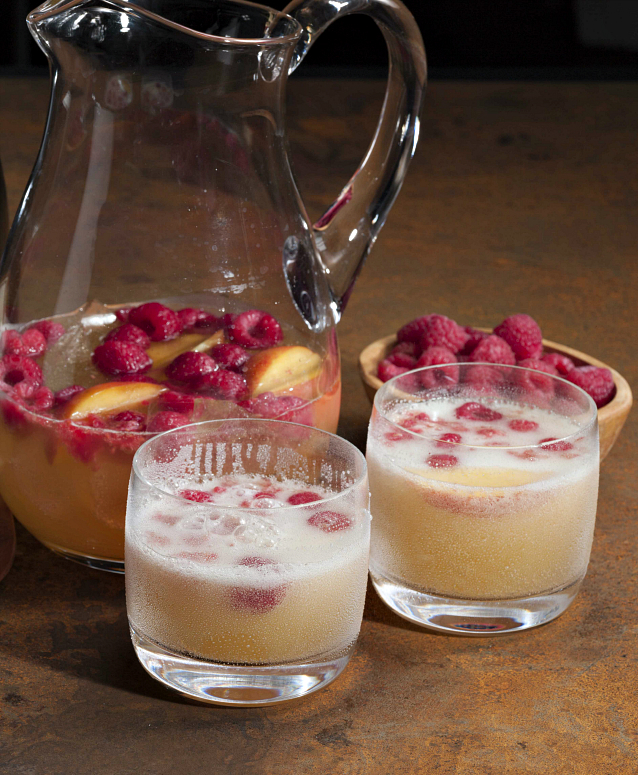 This raspberry peach prosecco punch will liven up any party! 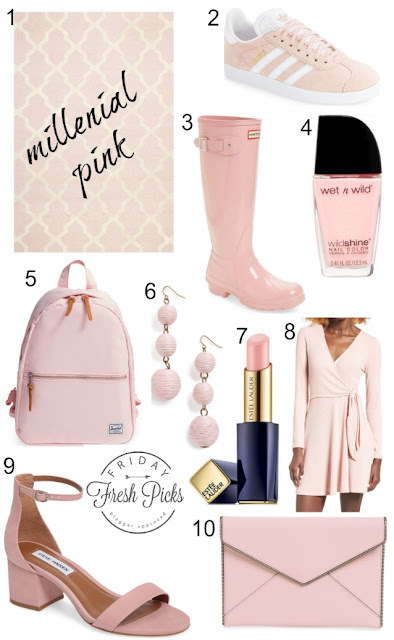 Have you jumped on the board the millenial pink train yet? It's time! 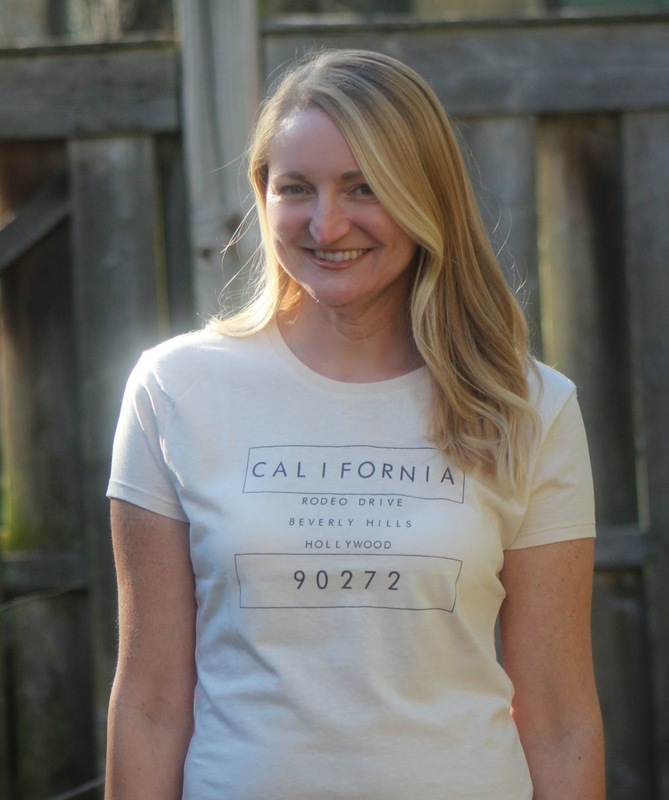 Statement tees are a great way to express yourself in a stylish way. Check out a few of my favorites. May's temperamental weather calls for stylish layering. 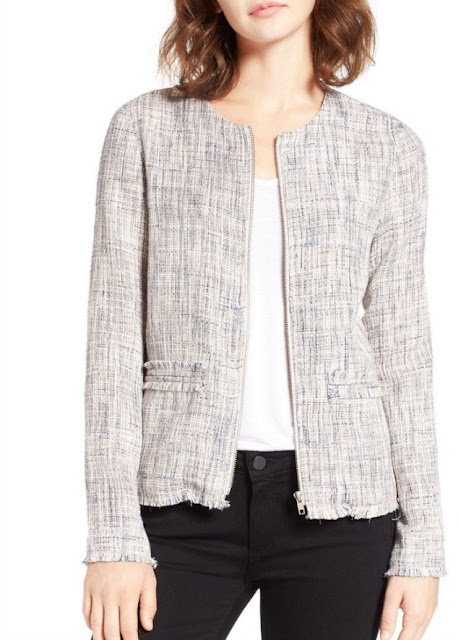 This tweed jacket works for the office or the weekend. 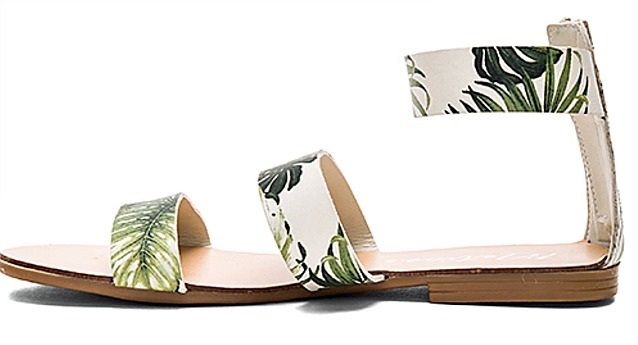 If you recall, I've been obsessed with anything palm print. This tropical print sandal is so fun and a nice change from the black and brown ones everyone has been wearing. I had never been one to splurge on sunglasses. I had a terrible reputation for stepping or sitting on them and breaking them. As a result, cheap ones were always a better option for me. Until I bought my first pair of Ray-Ban sunglasses two years ago. Every since, I've always kept them in a protective case. How cute is this flamingo glasses case? Also available in a super summer watermelon print. I swear by my S'well bottle, especially now that it's getting warmer outside. I take with me on my outdoor walks and the water stays cold, and the ice doesn't melt. I own the marble one, but I've been eyeing up this Los Angeles-themed bottle.